Alex was born in an air raid shelter in Malta in 1942. 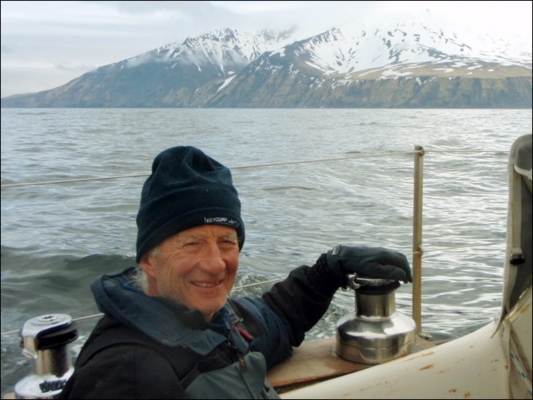 He grew up in England, where his father taught him to sail an 11ft dinghy. 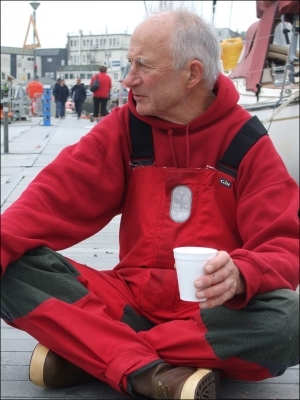 His father also gave him Joshua Slocum’s book to read and the Cape Horn dream was born. Alex flunked his final school exams and joined the Navy on a short service commission to go flying. 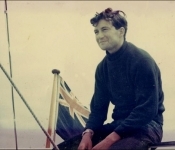 While at the RN College at Dartmouth in 1961, he sailed in his first Fastnet race in Leopard. They were damaged in the storm that year and retired, so the Fastnet Rock joined Cape Horn in the trail of unfinished business. The story of this storm can be found in the book Heavy Weather Sailing as also can the story of Berrimilla II’s storm off Montevideo. 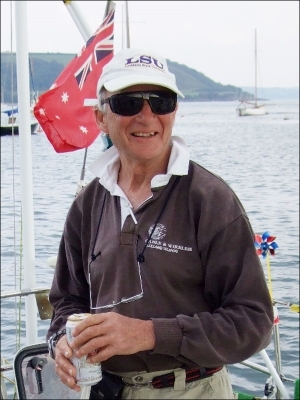 Alex emigrated to Australia in 1966 and worked with Adastra Aerial Surveys for several years before going to University. 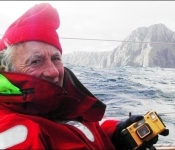 A stint pushing a wheelbarrow, a first Sydney – Hobart race in Miko, more University, another Hobart in Miko, and retirement from the Sydney – Rio race without getting close to Cape Horn in Jacqui and the unfinished business continued. 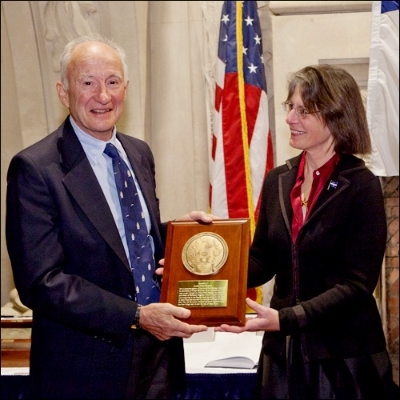 Marriage, a daughter, divorce and a job in the Public Service, an MBA and more Public Service. 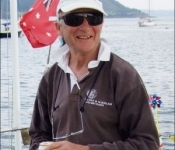 In parallel, a 35 year association with the University of Wollongong, first while pushing a wheelbarrow landscaping the early Campus and later as a founding member of Faculty and Departmental External Advisory Committees. 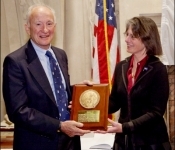 The University made him a Fellow in 1998, a proud day. 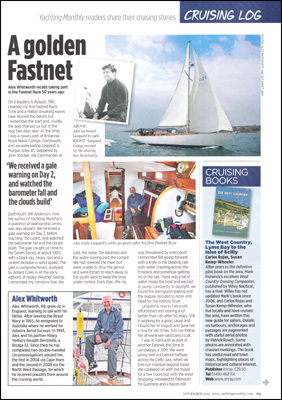 During this time, Alex and his partner, Hilary Yerbury bought the first Berrimilla, a Bluebird class 22ft sailing boat. They discovered later that Berrimilla was the Aboriginal name for the Blue Kingfisher that lives all along the coast of NSW. A second daughter. Redundancy from the Public Service and a job with an electronics company for 10 years. The first Berrimilla was stolen from her mooring in the late 1980’s and sadly, never seen again. 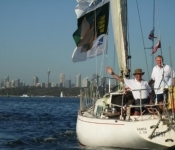 Alex and Hilary bought Berrimilla II in 1993 for the 50th Sydney –Hobart in 1994. Berrimilla II retired from the 50th Hobart so more unfinished business. 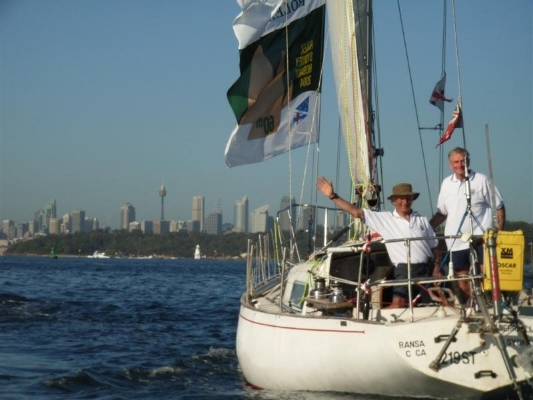 Alex and Berrimilla II have sailed together in 16 Hobart races, winning the PHS division in the stormy 1998 race. 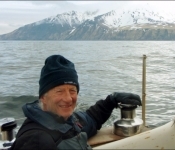 Peter Crozier joined the crew for this race. 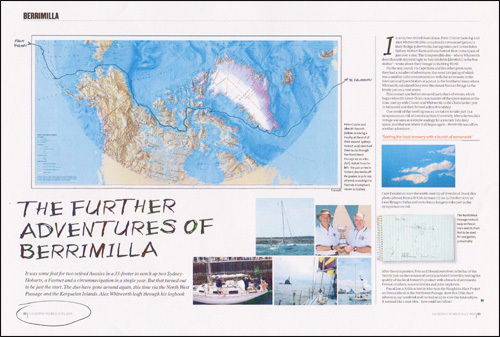 Between 2005 and 2010, Alex and Peter, with some considerable help from Corrie McQueen and Kimbra Lindus, sailed Berrimilla II twice around the world. 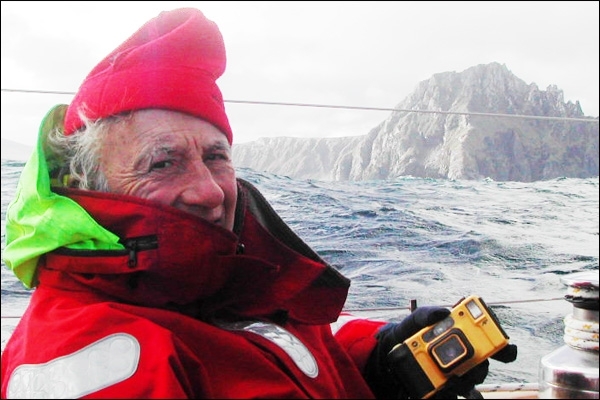 The first time was via Cape Horn and the Fastnet Rock – unfinished business sorted – and the second time was via the Northwest Passage and another Fastnet. 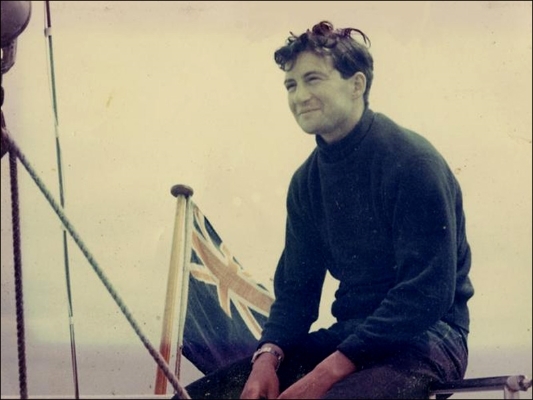 Each circumnavigation was special in its own way, on a minimal budget and with some interesting times. Their stories are the substance of this website. 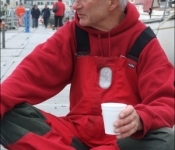 Complete a circumnavigation Fastnet Rock to Fastnet Rock also via the Northwest Passage.